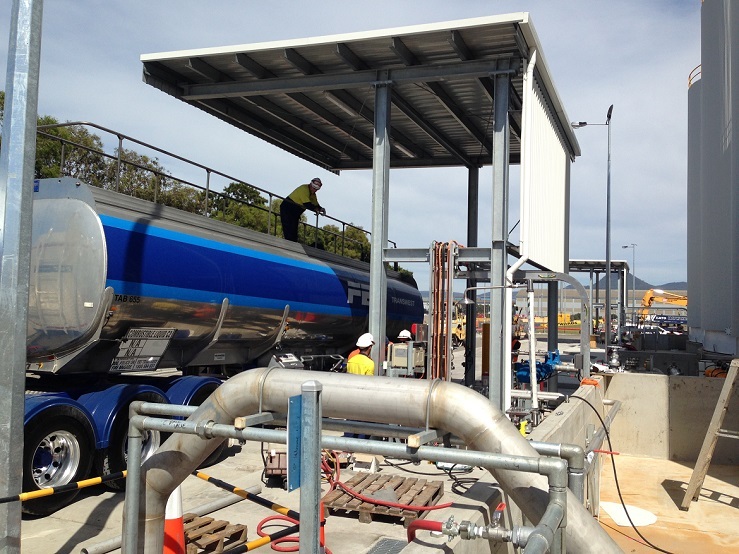 BRS Electrical, contracted to and working together with CommsPower, completed design and commissioning works for GrainCorp’s new Liquid Terminal at the Port Kembla, NSW. 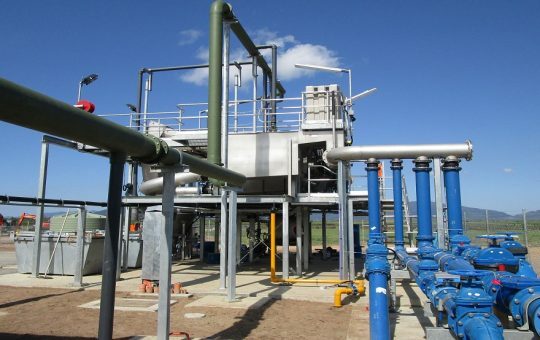 The project scope required us to complete an electrical design for the liquids site, including the programming and integration of PLC, Accuload systems and ancillaries (including boilers and waste water management). 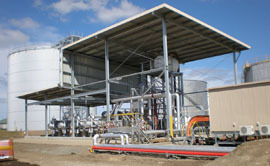 Stage 1 consisted of 12 tanks (10 for product, 1 for site diesel, 1 for slops liquids – including associated monitoring, pumps and valves) and 2 gantries; allowances had to be made for a future stage 2 upgrade of a further 6 tanks and 3rd gantry. Commissioning was undertaken by Dan & Jarrod, in partnership with CommsPower. This was completed in stages, to slowly bring various electrical components online as required. Field power & lighting was critical to assist the building contractor in completing the install; there was also a tight timeframe to get Tanks 2, 4 & 5 completed as a ship was due to unload towards the end of the first commissioning stint. Thanks to good design & commissioning procedures, the systems were commissioned with minimal effort and ship unloading proceeded unhindered. A new innovation implemented on site by BRS was the use of the close integration of Tank Master, Accuload and control systems via the PLC. All three systems had to tie together to ensure that tanks were not overloaded and that the correct amount of liquids were dispensed to a customer; meanwhile, the PLC monitored the overall system and shutdown pumps and valves as required. The end result was a system that accurately unloaded and loaded from suppliers (ships) & customers (trucks). In addition to this, the PLC collects running and fault operational data pertaining to all Discharge Valves, Gantry Discharge Pumps and the Plant Interceptor. 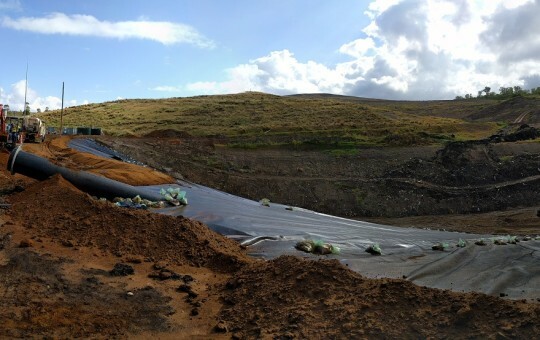 Feedback from the managers on site was that they were impressed with the work BRS completed and hope to engage us again for future works on this and other sites.